Solid state for instant-on sound. teries or AC adapter below. Battery for radio above. Order 6. AC Adapter for radio above. Classic style. 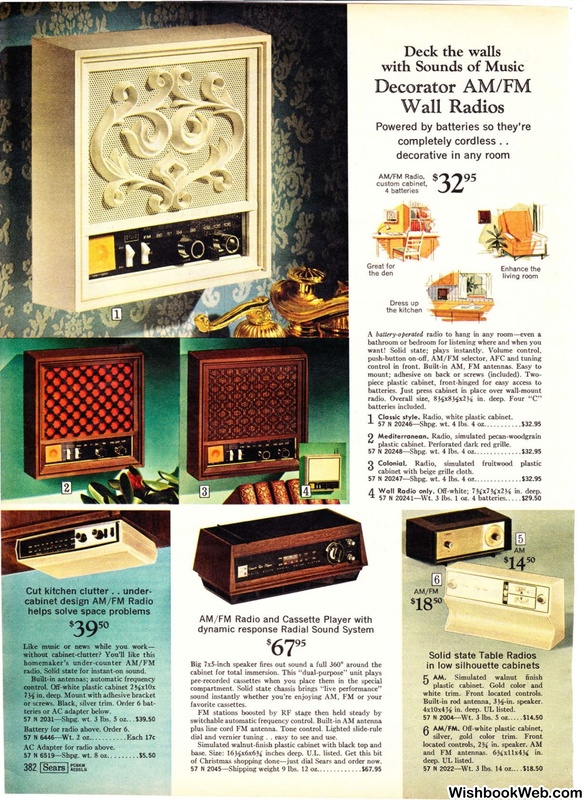 Radio, white plastic cabinet. plastic cabinet. Perforated dark red grille. cabinet with beige grille cloth. compartment. Solid state chassis brings "live performance"
dial and vernier tuning . . easy to see and use. of Christmas shopping done-just dial Sears and order now. white trim. Front located controls. 4x10x4% in. deep. UL listed.